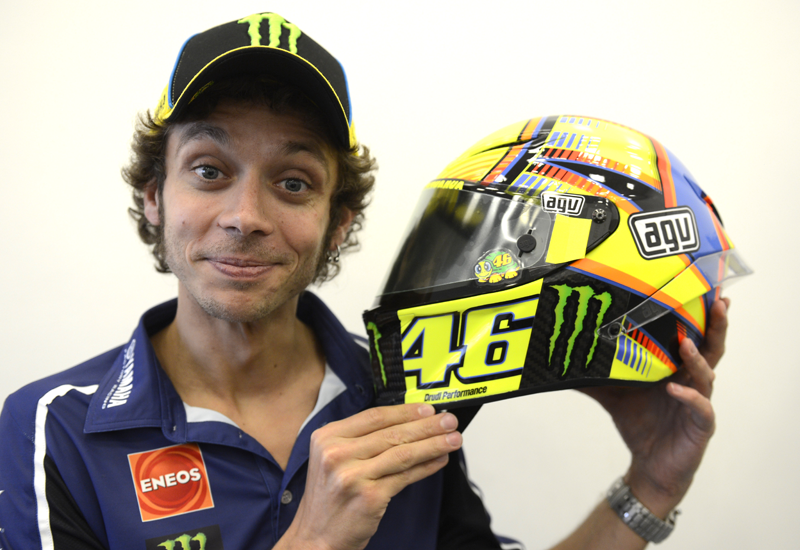 AGV has released the replica of Valentino Rossi’s current MotoGP helmet a year earlier than usual. The Italian firm normally waits until the following season to give the public the same design as its star rider, but the 2013 helmet is going on sale in the week after he broke his losing streak by winning the Dutch TT at Assen last weekend. 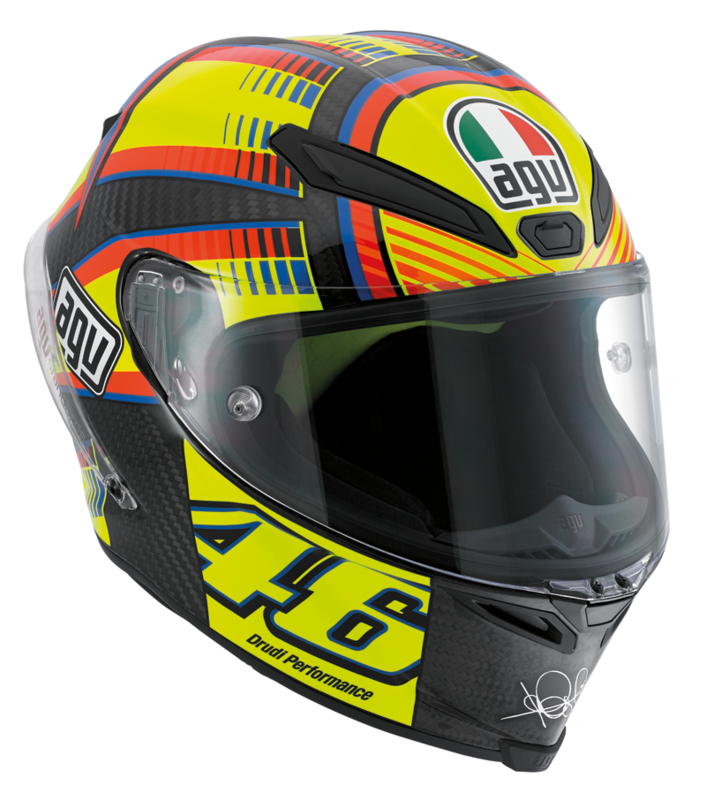 The Sole Luna design (it translates as Sun Moon) is available on the same high-spec AGV Pista design that was pioneered by Rossi and is now being worn by other AGV-sponsored racers around the world. Collectors of Rossi replicas – and there are people who have the full set from his 17-year career – are set for a big hit in the wallet though. The Pista GP Sole Luna will cost £999.99 in Britain and will only be available through Team AGV dealers. The helmet is all-carbon in its construction and weighs just 1275 grams, with an aerodynamic shape designed to be at its best when riders are tucked in behind the screen at high speed.